Flying is nice and all, but it’s also usually crowded and expensive. If you have some time to spare, consider other modes of transport instead. You’d save money, see more sights along the way and maybe even meet some interesting locals. It can be hard to figure out how to navigate ground transportation options because they vary wildly from one place to another. In this post, I’ve included the essential resources where you can find all the details you need to figure things out and make bookings. I’ve divided this post into two sections: long-distance city-to-city travel and short-distance urban travel. Enjoy! 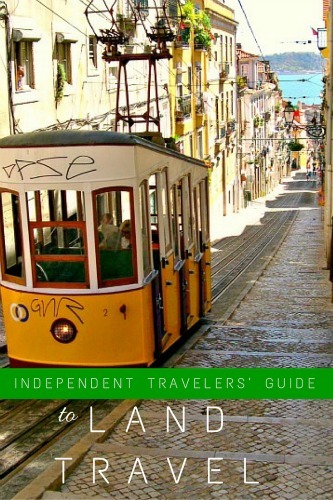 For inter-city bus travel, I like to look at Rome 2 Rio before I even book any flight tickets. This website shows you the various different ways to get from Point A to Point B — not just the flight options like on other travel booking sites, but also whether it’s possible for you to make the entire journey or just part of the journey using buses and trains. If you want to make the entire trip by bus, use Busbud to find the right inter-city bus route and make a booking. Alternatively, make your booking directly with the bus company. In the U.S. and Canada, Greyhound has the biggest network of routes and the prices are cheap. I have a few gripes with Greyhound — unreliable Wi-Fi and unscheduled bus changes — but they’re not enough to make me swear off taking Greyhound forever. Other bus companies include Trailways, Megabus, BoltBus, Lux Bus, Vamoose, Tripper Bus, and RedCoach. Inter-city train travel is relatively easy to figure out, thanks to The Man in Seat 61, a website dedicated to train travel. The website is so comprehensive that sometimes I find it hard to believe that it’s the work of just one train enthusiast. There’s more information on the site than you probably need to figure out how to ride trains almost anywhere. Hitchhiking gets a bad rep, but it’s really not as bad as it seems. At least, that’s what I’m told by this couple who hitchhiked their way all over the world. Firstly, it’s not dangerous if you know what you’re doing. The biggest danger you’ll face as a hitchhiker will probably be reckless drivers — and surely you’ve come across these drivers even without having hitchhiked. Maybe you’ve even sat in a vehicle they drove. Maybe you’ve even paid them to drive you. Secondly, it can lead to meaningful interactions with people from all over the world. You’d likely get some awesome travel tips at the end of the ride and, if you’re lucky, maybe even some new local friends. However, do take into account the fact that you may have to spend a lot of your time finding a ride. You’d have to be really flexible with your schedule. If hitchhiking sounds like a good idea but it just seems like too much work, ridesharing may be the answer for you. Ridesharing is a lot like hitchhiking, except you find potential travel companions online, screen them based on the reviews, and pre-arrange the trip beforehand. BlaBlaCar is the biggest city-to-city ride-sharing community right now and you can find rides all over Europe on the site. You do have to pay a small fee to share a ride (think gas money for the driver), but ridesharing could work out to be cheaper than hitchhiking. 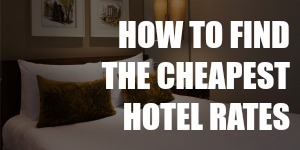 You’ll have a fixed travel schedule that you can use to make better accommodation plans. Plus, there’s no need to stand in the sun/rain/snow for hours waiting for a car to pick you up. One of the best things you can do to really experience a place is to get around like the locals do: on buses, trains, ferries, and trams. It’s a cheap and easy way to experience what daily life is like for locals. However, it’s often tough to figure out the stop locations, schedules, etc. 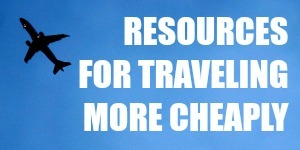 One valuable resource for getting around within a city is Wikitravel. Just check out the page dedicated to your city and you should find some information on public transport. 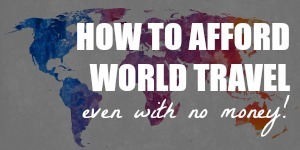 If that doesn’t work, ask the helpful people at the Lonely Planet Thorn Tree Travel Forum. Crowded buses and overheated tuk-tuks can get too much at some point. When that happens, just hail a taxi instead. Watch out for the fare, though. Taxi fares can vary widely depending on where you are. In Tokyo, for example, a taxi ride from the airport to the city center can easily set you back $300. There’s a whole range of land travel options between public transport and regular taxis. I’m talking about cycle rickshaws, tuk-tuks, scooter taxis, jeepneys, and their counterparts all over the world. These vehicles are not part of the city’s public transport system. They come with drivers, so they’re not rental vehicles. But they’re not quite cabs either because the vehicles are not regular cars. I love these weird vehicles because they’re so unique to their respective places of origin that it’s hard to imagine them elsewhere. A Thai tuk-tuk would look completely out of place on an American highway, for example. These local for-hire vehicles can be the hardest land transport options to figure out. There’s often a set of very specific codes of behavior you need to know, like tapping the ceiling of a jeepney to signal to the driver that you want to get off. Learn by watching the locals and check out Wikitravel and Lonely Planet Thorn Tree Travel Forum. Find some local travel bloggers, reach out to them on social media or by email, and ask them any questions you have. Renting a vehicle gives you the most freedom to go wherever you like and stop wherever you like. However, you should do some research beforehand because road and traffic conditions can vary widely from country to country. Find your car on one of my favorite travel booking sites, like CheapOair, then use AutoSlash to keep track of your booking. AutoSlash will tell you if the rates drop so you can quickly take advantage of the savings. You may need an international driving permit to rent a vehicle abroad, so get one before you leave your home country. In some places, like Bali or Phuket, you may be allowed to rent a scooter without a license, but do consider the risks because you could get into trouble with the local traffic police. Cycling is a cheap and healthy way to get around. But before you put yourself and your bike in the middle of the traffic, check out Wikitravel and the Lonely Planet Thorn Tree Travel Forum. Not all cities are safe and accommodating to cyclists. If, like me, you only bike to explore big parks and such, rest assured that rental bikes are usually widely available at places where you’d need one. You could probably even get free maps of the biking trails in the area pretty easily. I’ve been lucky to have lived in one walkable city after another and I love walking everywhere, especially if there’s good company and interesting scenery along the way. There’s literally nothing cheaper than walking and you’re guaranteed to see more sights than you would if you were stuck in a car. Plus, it’s a great way to burn some calories before enjoying some greasy street food. It can get tiring, sure. But that’s when I find a nice park and rest my bare feet on a patch of grass. It’s one of the best feelings in the world.